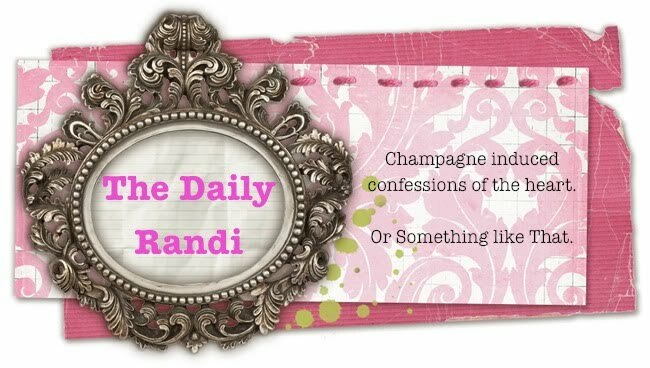 The Daily Randi: JUST SAY YES! Today, one of my First Grade Classes entered my classroom, Bickering. It seems, just before my class, they were on The Playground. One of the girls went up to another one and announced, "YOU ARE NOT MY FRIEND!" Naturally, this made the other girl Cry. After we sat down, I began to lecture them about How Inappropriate Their Behavior Was. "Grown ups don't go around and say to someone, 'You! YOU ARE NOT MY FRIEND!'" I told them. "We just know If We Are friends or Not." And then I thought of My Daily Friend Requests. It seems with The Advent Of The Internet, I field Requests For Friendship all day long. This Person wants me to be their Friend on MySpace; This Other Person wants me to be their Friendster, Someone is Winking At Me On This Other Site, Another is Teasing Me Over On This Site. Today, I had 12 Requests For Friendship alone. Ironically, most Never Make The Cut. I mean, I get So Many Requests, you need to Really Impress Me with Your Friendship Skills to Woo Me -- and I don't mean by Making Me A Friendship Bracelet. You need to Pass Me Notes! And Call Me Up Just To Find Out What I Am Going To Wear Tomorrow! Or, Ask Me To Do Something Friendly, like, say Ride Bikes! When I was a kid, we used to always Ride Bikes, and that's how we knew We Were Friends. "Someone would ask, "What'd you do yesterday after school?" And you would be all, "Ride Bikes." And they'd be all, "Really? With who?" And then you'd be all, "Oh. No one you know." But everyone knows, "No one you know" was Just Code for, "It doesn't matter, because You Weren't Invited. YOU ARE NOT MY FRIEND!". So, in a way, I guess nothing has really Changed. Except, instead, Potential Friends just Cut To The Chase: "So-And-So would like to be Your Friend. Approve or Deny" really is the same as, "Are you My Friend or Not? SAY YES OR NO!" And I often say, "NO!" Unless, of course, they Have Something I Want To Ride. And I don't mean Just Bikes any longer.